We've taken control of the clover problem that affected many of the fairways earlier this spring. We're going to be making one more application of the fertilizer in the next couple weeks and hope to have the heaviest areas back to normal soon! As a result of the application, you'll notice the fairways are a bit yellow. That yellowing should go away by the end of the week. This past weekend we aeriated and top-dressed the greens and also removed several tree stumps that remained after we cut down over 200 dead trees last Fall. Removing these stumps has greatly improved the look of the course and also provides room for the new trees that we planted last year. You'll also notice the fresh look around the Clubhouse as Elfie has busy been painting the railings and wooden fences. Overall the course looks great and we're excited and hope for a warm and dry Memorial weekend. 2007 Member Cards are available at the Pro Shop. You can pick them up today! Please note, if you paid your membership dues after May 1, your card may not yet be ready. We would like welcome the new members joining us in 2007. 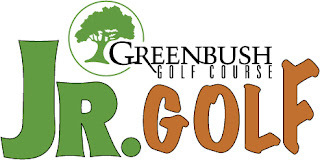 We look forward to meeting you throughout the summer and hope you enjoy the fun and events at Greenbush Golf Course. And THANKS to the members who referred these individuals to our membership! The future of golf is at Greenbush Golf Course! Greenbush GC is holding its third annual Junior Golf Program this summer. Boys and girls ages 8 to 12 are welcome to join. Registration is $40 and includes a 5-week program as well as a free golf membership all summer long in 2007! The program starts June 18 and runs through July 23, from 8:30 a.m to 11:45 a.m. Sign up today to hold your spot! Call 989.724.6356 to register. 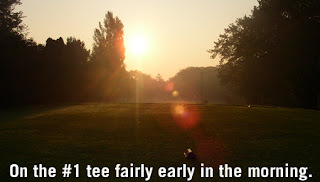 Thanks for visiting the new Greenbush Golf Course blog. Check in to see news on our course, exclusive online specials and other great offers throughout the summer!